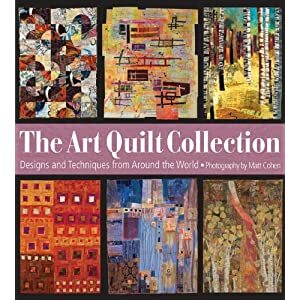 ﻿I was honored and thrilled to be included in this international book of art quilting. It is published by Sixth & Spring Books. I received my advance copy of the book while I was traveling and had to wait to see it. Bummer…but it was worth the wait. If you have never been published in a quality hardcover glossy page book….along with some of the world’s most well known art quilters…..you have no idea what you are missing. I can tell you that the feeling is amazing. Someone besides ME or RON thinks what I do is art and recognized it. I’m one of 100 international quilt artists in the book. I am on page 53 with my little quilt “Oda Pagoda”. You can buy a copy at AMAZON. I hope you enjoy it! Very nice!! And well deserved too!!! Congratulations! How exciting for you! From the cover, it looks like a book that needs to be on my bookshelf.